A pimple and acne are nightmares but the more scary thing is their marks. It becomes very hard to get rid of pimple marks for some people. Thus to remove these marks many people use chemical loaded creams or products, which sometimes tends to harm the skin even more. Down below I mentioned a few ways to get rid of Acne Scars. To treat pimple marks we have one more option and that is to remove marks naturally without any use of a chemical. Here are some effective remedies which will remove the marks easily. Mix both ingredients together very well. Honey helps to fade the scars where lemon helps to lighten the dark area. Slice potatoes into small pieces. Rub it on the marks for 3 to 5 minutes. Do this daily before going to bed for sleep for better results. Potato is having some bleaching properties which naturally bleach your skin and lighten the marks. Apply it on the marks and leave it for 20 minutes. To get rid of Acne Scars do this 4-5 times a week. Tomato is enriched with lightening agents which remove the marks very effectively. Crush some fresh basil leaves from the plant and make a paste by adding a little water. Do this 4-5 times a week. Basil is a great way to fade pimple marks and also it is effective to treat a pimple. Extract the white milk from raw papaya. To get rid of Acne Scars do this 3-4 times a week. It’s a bit sticky but very effective to remove a pimple and pimple marks from the skin. It also makes the skin glowing. Take some orange powder and mix it with milk or rose water. Apply this paste on face for 15 minutes. Orange is a great way to remove the pimple marks from the face as it has vitamin C agent. Cut a leave of fresh aloe vera and extract the gel. Keep it in the fridge for 2 hours. Then apply it on the marks and pimple. You can keep it overnight then wash it off with normal water. Aloe vera is a source of vitamins which are helpful to heal the skin and to fade scars. It is the most effective way of getting rid of Acne Scars. Mix baking soda with enough water to make a thick paste. Apply it on the marks and gently massage it. Leave it on the skin for 2 minutes and wash your face with cold water. Baking soda is a great ingredient to lighten the scars from the face and skin. Take one capsule of vitamin E and poke it. Extract the gel from the capsule and apply it to the marks. Leave it overnight then wash it off with normal water. Do this daily at night before going to sleep. You can see the results in 15 days. Vitamin E is the easiest way to remove pimple marks. Take some thin slices of cucumber. Place it on your marks and keep it for 30 minutes. Cucumber contains vitamin A, vitamin C, and magnesium which are great for the skin. Cucumber helps in fading the acne marks. It is the most common way of getting rid of Acne Scars. Try this amazing cucumber face mask for healthy and clear skin. So, now you know how to remove or fade the acne and pimple marks from face let me know after trying this remedies as it will show a visible difference in your skin. I Hope this has helped you in a way if you want regular short tips on beauty and health and facts related to both don’t forget to follow us on Instagram, Facebook & Twitter. And do leave your comment below and share it with your friends, Thank You. « Hair Quiz: Test Your hair knowledge? Nice remedies . Will try . That’s a really helpful post, thanks for sharing! wow these looks like all tips straight from the kitchen and all natural items you suggested her. I think it would be nice if we try as many as natural products. Yes true, acne spots are scarier than the acne itself. Thanks for share these amazing tips on how we can reduce the spots of acne. Wow these are some great remedies, my scars have not been going from past 3 months, I’m sure I’ll try 2-3 of these remedies. This is so great article for home treatment for acne and pimples!! This post was much needed. I get acne when I have some imp function so guess tips from here will help me combat well. 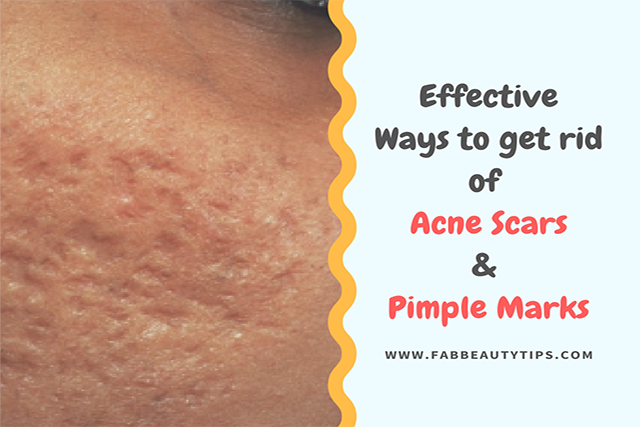 These tips are really helpful .. Acne scars are more terrible than acne..